kt literary » Blog Archive » A warm welcome to Isis Rushdan! A warm welcome to Isis Rushdan! 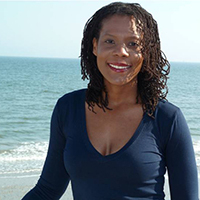 Please help us welcome Isis Rushdan to the KT Literary family! I am so honored to be working with Isis on her brand new romantic suspense series – this was a query slush pile find and I can’t wait for readers to fall in love with her brave heroes and heroines as much as I did. I’m pitching these books as a “Behind-The-Scenes Heroes” series and I’m just so excited about it! Isis was born in New York City. Fresh out of high school at sixteen and to the horror of her family, she turned down a college scholarship and joined the U.S. Army. She likes to keep her family on their toes, but they have always been supportive and even signed the parental consent form. She had to wait almost a year because of a minor age hiccup, but her calling to serve did not diminish. After her tour, she went on to graduate with a B.A. in Psychology from Ohio State University and parlayed her degree into an active duty commission as an officer in the U.S. Air Force. In 2005, she joined the reserves, where she is still a member of the Armed Forces. Isis, thank you for your service! ← SOLD!!! Congratulations to Wen Baragrey!